10th on stage for Giniel de Villiers / Dirk von Zitzewitz after missed waypoint. ALXA, INNER MONGOLIA – The 410 km-long Stage 3 of the Dakar Series: China Rally proved to be an interesting one for Toyota Gazoo Racing SA. 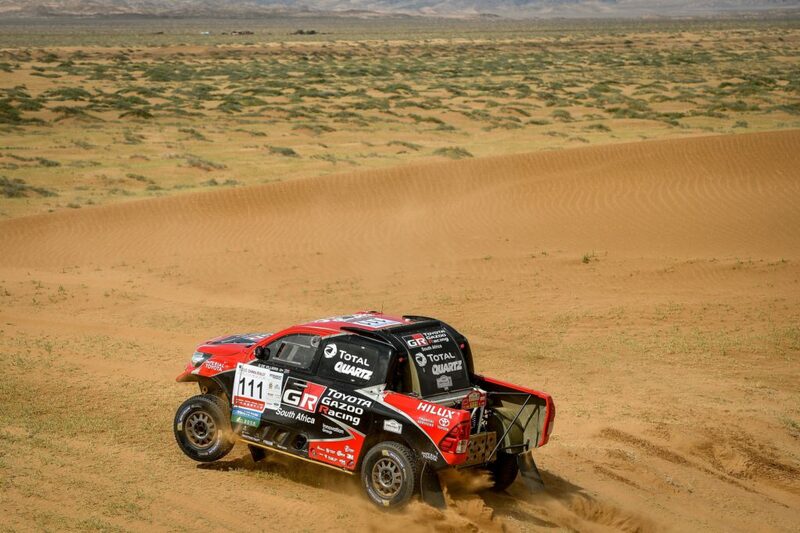 Giniel de Villiers and navigator Dirk von Zitzewitz missed a waypoint early in the stage, and lost more than 40 minutes as a result. 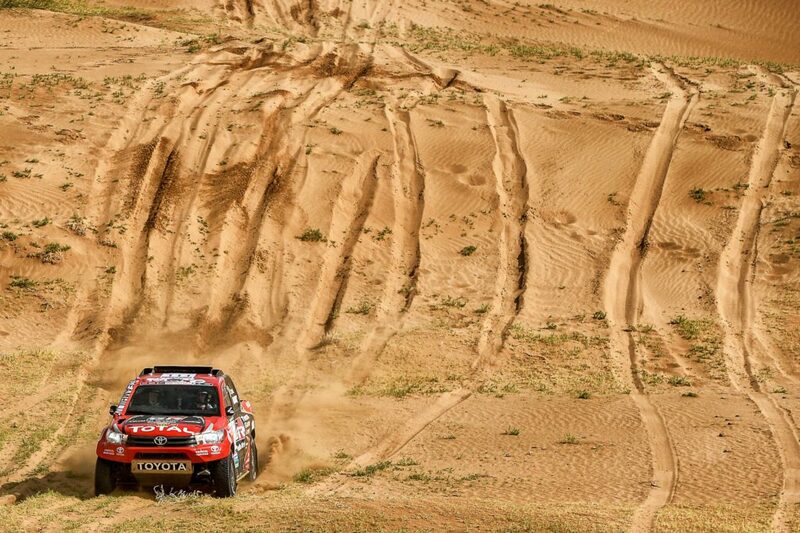 Despite this, the Toyota Hilux crew is only 06:57 behind China’s Yungang Zi, who currently leads the week-long event. 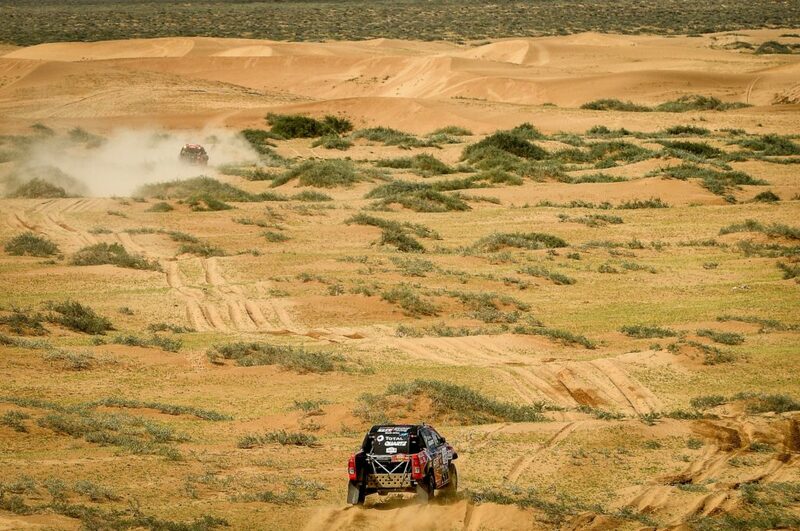 As things stand after Stage 3, De Villiers/Von Zitzewitz are only 03:41 behind second-placed Wei Han (China), who proved himself by finishing third on this year’s Silkway Rally – one of the toughest events in the world. A similar fate befell De Villiers’ teammates, Lucio Alvarez and Cacha Rodríguez (Argentina), in the second Toyota Gazoo Racing SA Hilux. The pair had an identical issue with their GPS, losing nearly 47 minutes before clawing back time through the rest of the stage. They posted the 16th-fastest time in the end, and are now in 6th position in the overall standings – 19:25 off the lead. Next up is Stage 4, which comprises a loop of 265 km over mixed terrain. Sand dunes will again come into play, with some sandy tracks giving the faster crews the opportunity to pick up the pace. The Dakar Series: Rally China is a 7-stage event, organised by the Amaury Sports Organisation (ASO). The company is also the organiser of the Dakar Rally. Rally China finishes on September 30th with a short, 28 km stage – but the total racing distance is 1,562 km.